Sam worked for 15 years as a senior Manager within the Arts and Museum sector. Sam is trained to teach the MBSR programme and runs regular mindfulness-based intervention courses and classes in a public or workplace setting. Sam’s experience spans a number of years including establishing her own wellbeing programme at the Medicine Garden in Cobham, offering stress management classes and workshops that blend creativity and everyday mindfulness practices together. Sam is passionate about helping to eliminate the growing disease of stress in society today and works with families and individuals suffering from the constant busyness and stress of life. 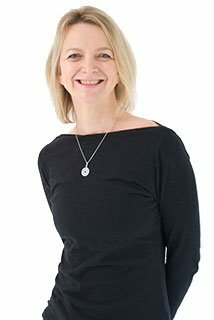 She teaches regular mindful parenting courses and developed a wellbeing stress management programme for Nuffield Health, in Surrey. In addition, she runs bespoke workshops for charities and offers parent and staff mindfulness sessions within schools. Sam is also a regular presenter at the national Mindful Living Show in London. Sam has been taught by a number of inspirational teachers and is influenced by the spiritual teachings of Thich Nhat Hanh and Insight Meditation. She has a strong interest in mindful self-compassion practices and mindful movement, having practiced yoga for 25 years. She likes to teach mindfulness with a soft and creative touch. Mindfulness is often referred to as heart-full-ness and it is this open-hearted awareness that has allowed Sam to deepen her own personal meditation practice. SamMantra’s mission is simple: to offer wellbeing mindfulness programmes that allow individuals to consciously find their own sense of stillness in their lives; express their inner creativity; nurture their minds and bodies and learn to ‘just be in the moment’. Sam adheres to the good practice guidelines for mindfulness-based teachers in the UK. I will also be offering taster classes every term for each course plus top up workshop sessions for all students that have attended courses. These will always be on Sundays as it seems to be the best day the studio is free. Silent Retreat day 10-3pm. Check out her taster classes each term. Or book a top up mindfulness class on a Sunday morning – open to all students that have attended Sam’s classes before or have a regular meditation or yoga practice. For a deeper immersion experience book a Silent Retreat Day – please check the studio’s booking calendar for future dates.